Though Tunisia has successfully established a functioning democracy and taken several positive steps to promote human rights since the overthrowing of President Zine El Abidine Ben Ali in 2011, many minority and indigenous communities continue to contend with the legacy of years of discrimination, says a new report launched today by Minority Rights Group International (MRG). According to the report Identity and Citizenship in Tunisia: The Situation of Minorities after the 2011 Revolution, unrecognized religious minorities such as Bahá’í and converts to Christianity face significant restrictions on their ability to worship freely, while the country’s indigenous Amazigh population have been sidelined through a long process of assimilation. Tunisia’s black population has also long been marginalized and is still subjected to racial discrimination. Despite the fact that discrimination on the basis of religion in the recruitment of public servants is no longer forbidden by law, in practice many Tunisian Jews are not represented in certain areas of employment. The report documents Tunisia’s achievements to date, including the drafting of the progressive 2014 Constitution and the passage of a law last month that criminalizes racial discrimination. 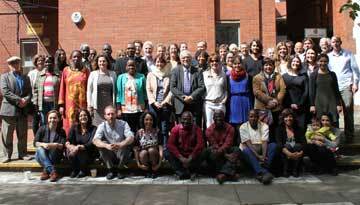 It also highlights significant rights gaps faced by many Tunisians, including its minority and indigenous populations. Drawing on interviews with community representatives and activists, as well as an extensive review of the available literature, legislation and media coverage, it explores the extent to which the Jasmine Revolution and the country’s subsequent democratic transition has benefitted and included its minorities. 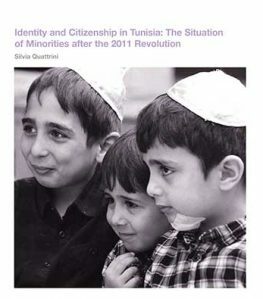 The report Identity and Citizenship in Tunisia: The Situation of Minorities after the 2011 Revolution is available to download here.